Foremost Property Management provides professional real estate services including property management, consulting and real estate sales for the Gulf Shores area. Foremost Property is strictly a fee based management firm without competing ownership interests in real estate holdings. 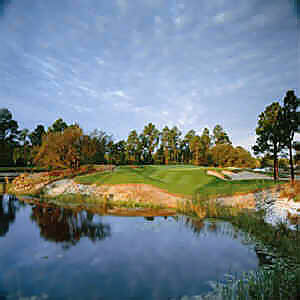 "Lost Land" was the romantic Spanish name for Perdido Key, and it will live on at Lost Key Golf Club. This Arnold Palmer signature course plays to a par 72 and captures the natural beauty of this barrier island. Lost Key Golf Club's presence has set a "new standard of golf" on the Gulf Coast. Challenging for all golfers, Lost Key means great golf in the most traditional sense... personal attentiveness of the PGA staff, well-maintained playing surfaces and an environmentally friendly course which has achieved signature status with Audubon International. The course is the first to feature certified "Floradwarf" greens, which translate into smoother and faster putting surfaces normally associated with Bent grass. To help guide you through the course, we have equipped each golf cart with the ProShot Omni Golf System, a computerized yardage system that will give you critical distances as well as playing tips. Lost Key Golf Club provides all the amenities of the finest private clubs, yet is open to the public. Come play the course "where nature and sport reside in harmony."